Hot Toys continues to roll out new 1/6th scale collectibles figures based on Marvel’s upcoming Avengers: Endgame. 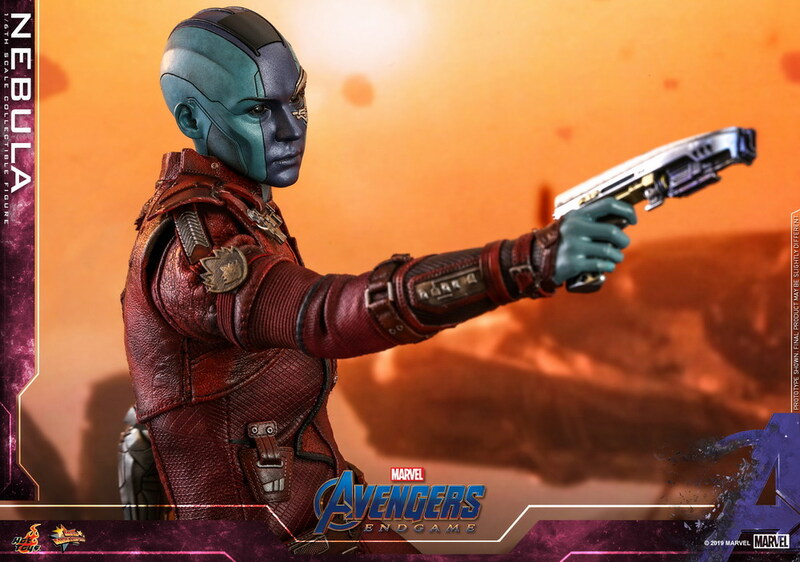 Their newest addition is Gamora’s adopted sister, Nebula! 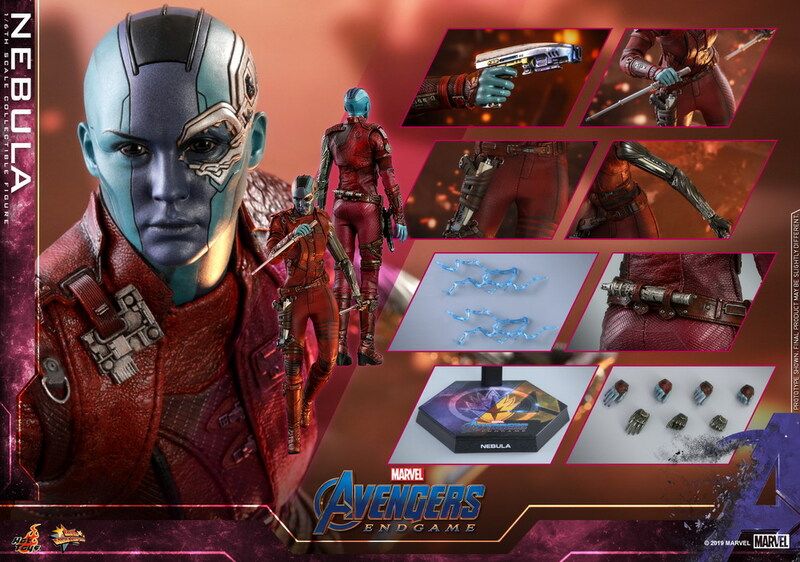 The figure is carefully crafted based on the image of Nebula in the movie, featuring a newly developed head sculpt with prominent cybernetics details, a newly developed body highlights Nebula’s prosthetic arm revealing intricate mechanical parts, perfectly tailored Ravenger’s jumpsuit with fine textures, iconic weapons including blaster and batons, lightning effect accessory attachable to the baton, a movie themed figure stand and interchangeable graphic card.